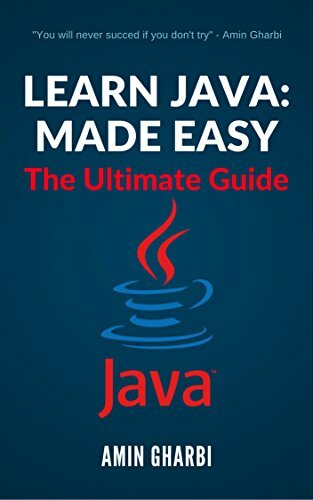 INTRODUCING: Learn Java: Made Easy! Do you want to pop-up your career ? Do you want to learn a new programming language that will after revolution the world ? Well, you're in the right place. This complete All-in-One book will make you learn the programming language and will make success on your life. We know how difficult it may seem to learn a programming language from scratch, let alone trying to put all that learning into practice. But what you might not realize is that it's fairly easy to fully incorporate the essentials of Java programming once you frame that learning into a certain context. The aim is to achieve all the necessary skills to learn how to actually implement Java. This e-book will guide you through the process, allowing you to expand your skills in Java more quickly than usual, making sense of ideas, understanding new concepts, and getting a better grasp of the essentials of Java programming in a relatively short period of time. This amazing Java Course is the book that you are looking for.